One of the Vanguard satellites is checked out at Cape Canaveral, Florida in 1958. Vanguard 1, the world’s first solar-powered satellite, launched on St. Patrick’s Day (March 17) 1958. It was designed to test the launch capabilities of a three-stage launch vehicle and the effects of the environment on a satellite and its systems in Earth orbit. 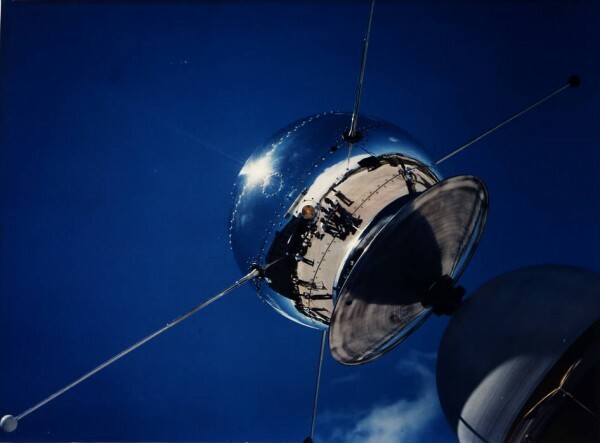 Vanguard 1 was the second U.S. satellite in orbit, following Explorer 1, and remains the oldest artificial object orbiting Earth to this day. Vanguard began as a program at the Naval Research Laboratory in Washington and transferred over to NASA (along with many of its personnel) after the agency was founded by the National Aeronautics and Space Act of 1958.